of Bouchut / Lebon have been the Saleen’s main challengers, while the many Chrysler Vipers, including the (defending champion) VBM car, had trouble getting onto the pace of the 2006 front-runners. The second round of the championship could be different. The layout of the Lédenon track, near Nîmes, in the south of France, is rather atypical and is the only track in the championship that runs anticlockwise. Ayari and Hernandez, thanks to their two wins at Nogaro, will have 80 kg of ballast which, on a circuit with many changes of elevation, could handicap them. Sohei Ayari: “The many ups and downs will increase the effects of this ballast. Moreover, this circuit has a many slow corners, and the car is often speeding up again. So, the ballast, on top of the problem of the centre of gravity, will affect the handling of the car and increase the wear on the tyres." The reliable Vipers could find a more suitable track at Ledenon and could be more competitive. Thévenin / Bornhauser (VBM), the 2005 champions, were the winners of race 1 last year, with Zangarelli / Lagniez (Mirabeau Viper) winning race 2. The Corvettes, with their proven chassis, should be highly competitive. Among the Viper drivers, Anthony Beltoise will be replaced in the Euroflash Autovitesse Viper by Sébastien Dumez, winner last year of the GT2 Trophy with Raymond Narac. Beltoise will focus in 2006 on the Porsche Carrera Cup, where he is the defending champion. Dumez and Blanchemain have been already partners at the wheel of a Larbre Viper in the FFSA GT Championship. Dumez won the French Carrera Cup in 2002 and 2003, the FFSA GT French Cup in 2001 and was runner-up in the Formula 3 European Championship in 2001. Sébastien Dumez: "I am delighted to race again with with Jean-Luc Blanchemain. We know each other quite well and we have had some successes together. 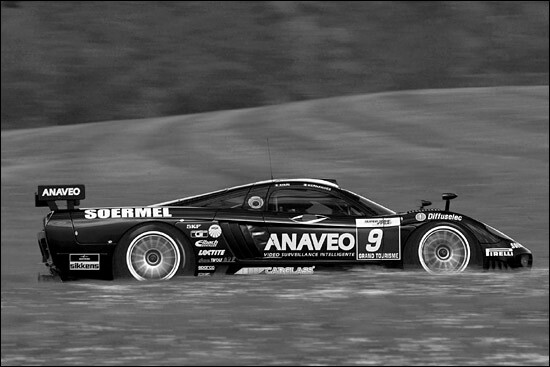 The FFSA GT Championship is very competitive but we have still the means to perform well. I haven't raced a Viper for two years, so the two practice sessions ‘won't be too many’." In the GT2 Trophy, Narac and Lecourt (IMSA Porsche 996 RSR) will face two other¨Porsches, driven by the Monteiro brothers and Prunet / Mouez. 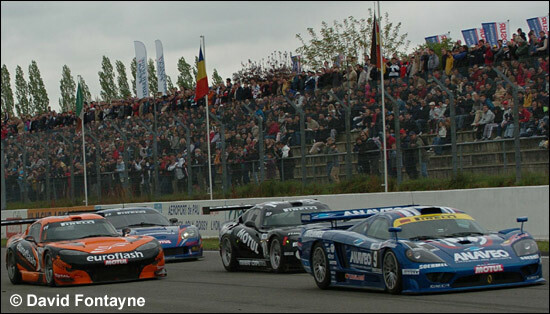 Most of the GT3 cars won't be at Lédenon, as they prepare for the Silverstone FIA GT round. Race 1 is on Saturday, race 2 on Sunday.